The innate immune system has a number of first line barriers to infection that are in place to prevent the entry and growth of pathogens. This article shall consider the physical, physiological, chemical and biological barriers that perform this role, as well as clinical conditions that may result from their failure. These barriers provide a physical block against pathogens from entering the immune system. The largest barrier comprises of the skin, which has a large surface area and covers the majority of the external surfaces of the body. 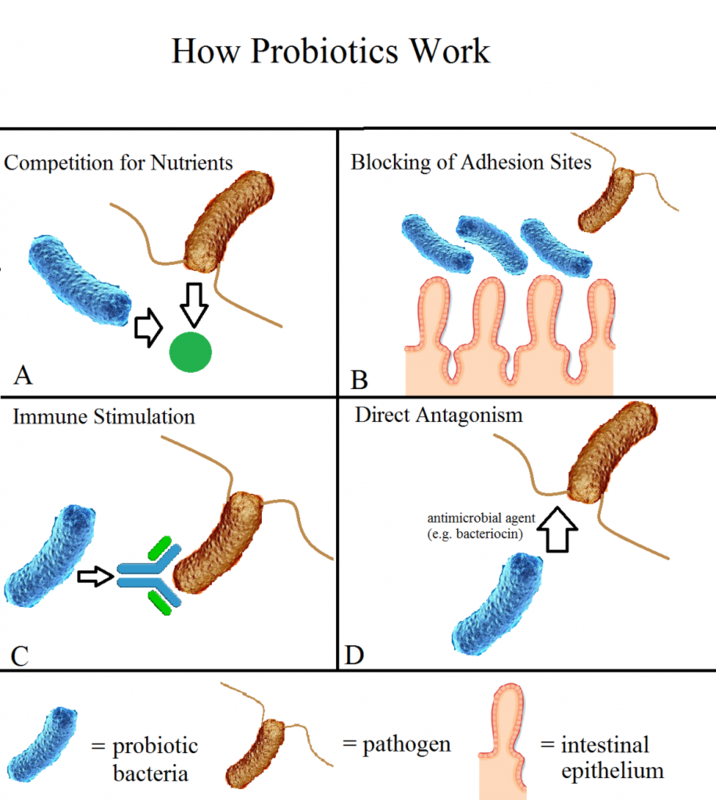 The mucous membranes of the mouth, respiratory tract, GI tract and urinary tract also line the the areas of the body that are in contact with the external environment, preventing pathogens from crossing. The final physical barrier of the innate system is the bronchial cilia. These cells form a mucociliary escalator which allows gradual removal of pathogens from the respiratory system. 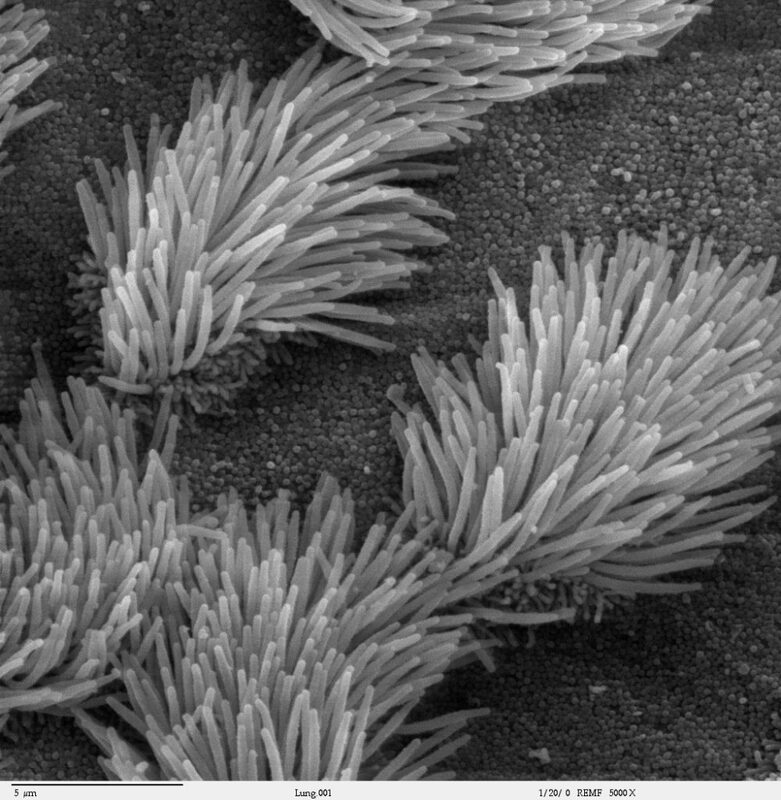 Fig 1 – Electron micrograph of the cilia within the lungs. These pHs create a hostile environment that pathogens struggle to thrive in and certainly in the case of gastric acid, can denature the proteins of pathogens. These compete with pathogens for attachment sites and resources, and may even produce antimicrobial chemicals. In addition to this, a number of them also produce essential vitamins, such as Vitamin K and B12. Fig 2 – Mechanisms by which normal flora can prevent infection. Cases caused by meningococcal bacteria may also present with a characteristic, non-blanching rash. Due to the proximity of the infection to the central nervous system it is classified as a medical emergency, and is can be diagnosed with a lumbar puncture. Treatment varies depending on the cause, for example, in suspected bacterial meningitis empirical antibiotics (ceflosporins) should be immediately commenced. In addition to this supportive therapy, such as fluids and potentially corticosteroids are given. In severe cases, admission to an intensive care unit may be required, especially in cases with altered consciousness and respiratory failure. 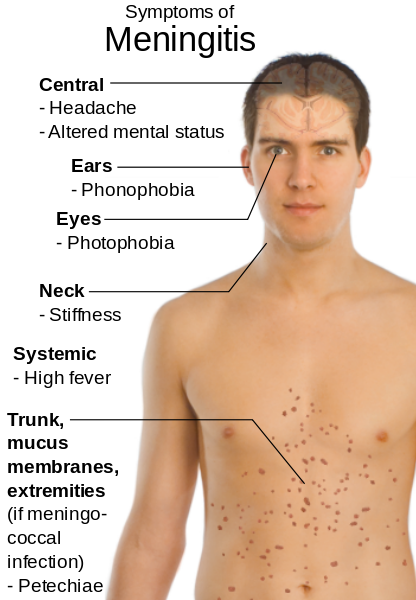 Fig 3 – Typical symptoms of meningitis.